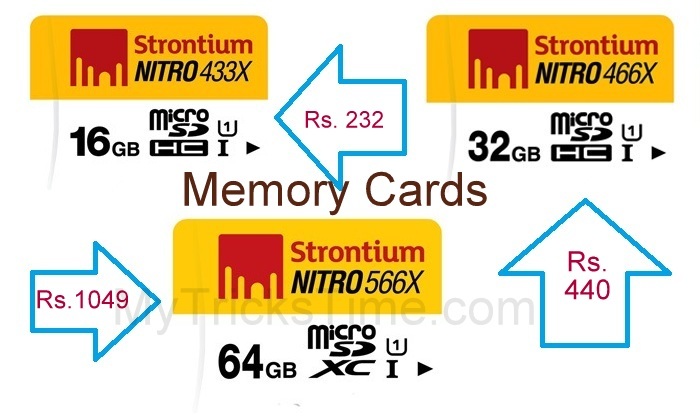 Nearbuy is again come with an amazing offer where you will get Strontium Nitro UHS1 433X MicroSDXC Card 16GB, 32GB and 64GB worth Rs.849,Rs.1499 and Rs.2999 at just Rs.232, Rs.440 and Rs.1049 Only. Mean in this offer you are getting flat 57% off + Extra 30% off. Now one more suprise is that you will get 10% cashback on paying via Paytm wallet. Hurry up as stocks are limited, Checkout below for more details. First of all visit Nearbuy Offer page below. Select memory card which one you want to buy like 16GB, 32GB or 64GB. Then Click on Buy now button. Login or signup with nearbuy account. From this coupon you will get extra 30% off. Enter your shipping details and contact. no. Process to payment and select pay via paytm.